Brooklyn, NY – Tekashi 6ix9ine is out of Rikers Island jail and back in his hometown of Brooklyn, where he’s evidently decided to start a kids soccer league. On Sunday (July 14), 6ix9ine posted an Instagram video showing him doling out $20 bills to several kids and some of their parents. STARTED A SOCCER LEAGUE STRAIGHT OUT OF JAIL ? 69 FOR THE COMMUNITY ?❤️????? The multicolored-hair rapper was arrested on Wednesday (July 11) at John F. Kennedy International Airport for an alleged assault after coming back from a European tour. The 22-year-old was booked into Rikers Island and initially denied bail. But, after his lawyers called for an emergency hearing on Thursday (July 12), he was allowed out on $150,000 bail. The catch? He must return to Houston on Monday (July 16) and turn himself in. He will have to post another $5,000 bail to secure his freedom. Upon his release, the “Gummo” phenom shared a video that captured his unhinged excitement. Peep the full video below. 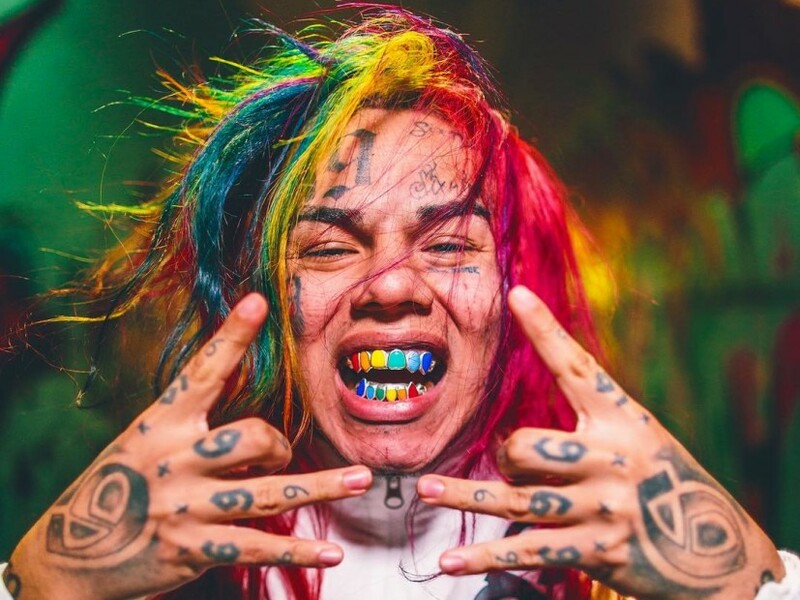 #tekashi69 fresh out the pen after serving a bid. Y’all want a first day out freestyle or naaaaaa? ?